Sorry this course is now fully booked. Join us for a festive wreath making course on Friday 7th December with Chris Davies. Create a lovely individual wreath for your door or table using fresh foliage, cones and berries from Fieldcrest. We’ll be using a plastic backed ring which is easy to use, and won’t scratch the surface it’s used on like willow or plain foliage can. 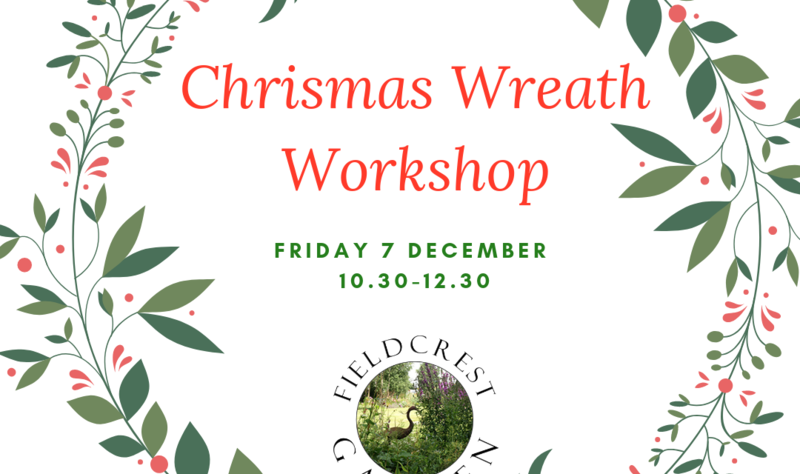 NextChristmas Wreath Making – book now! What’s happening to the Seasons?